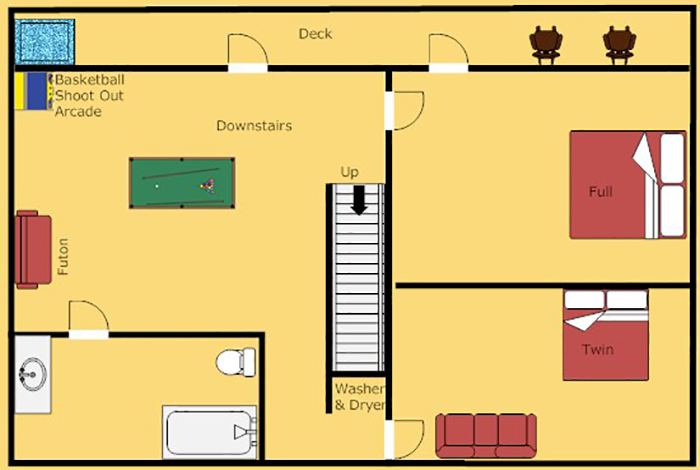 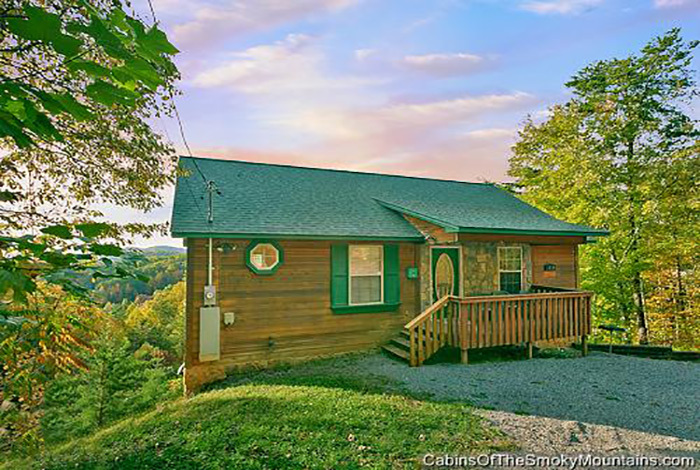 Looking for a secluded cabin to bring the family to for vacation? 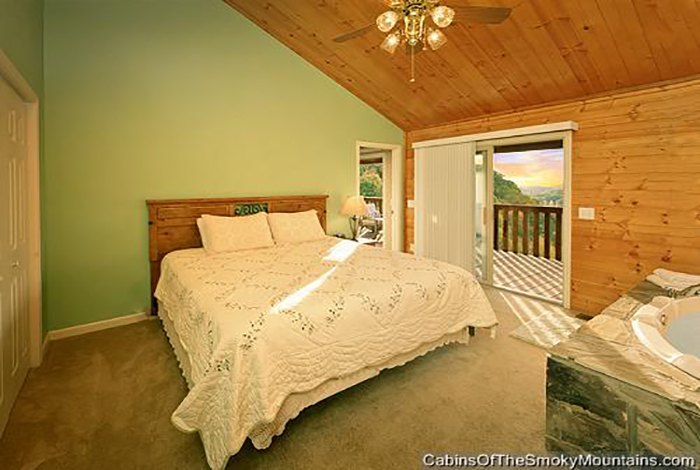 Then look no further and just go ahead and book Pleasant Surprise. 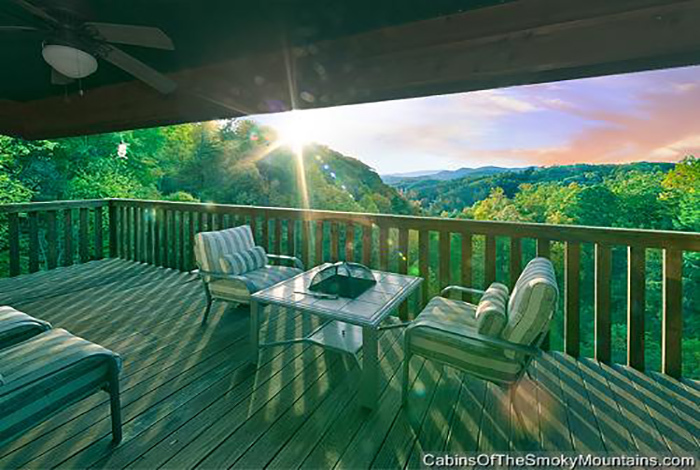 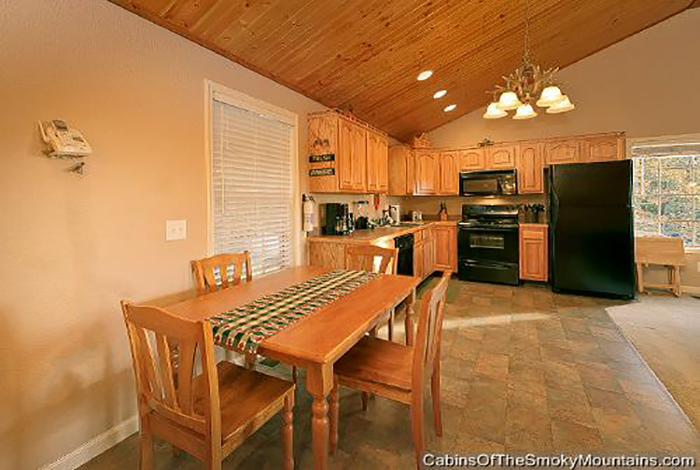 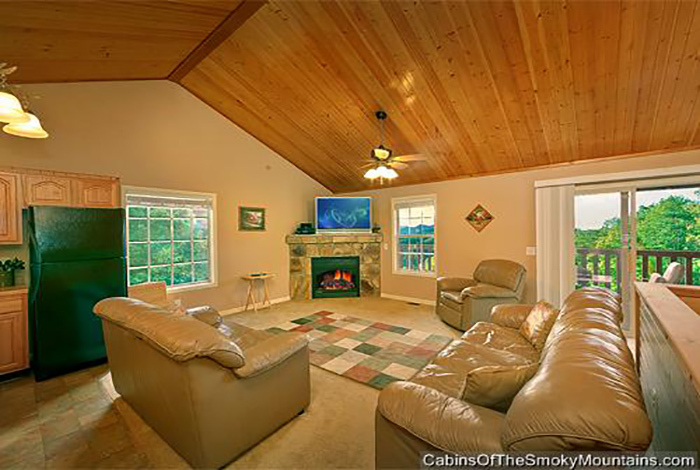 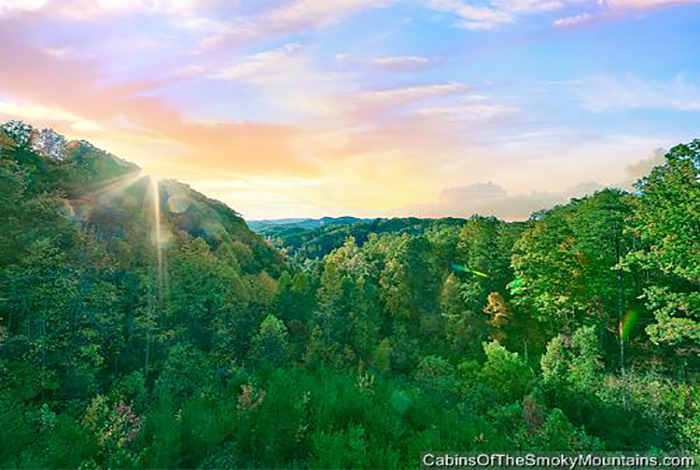 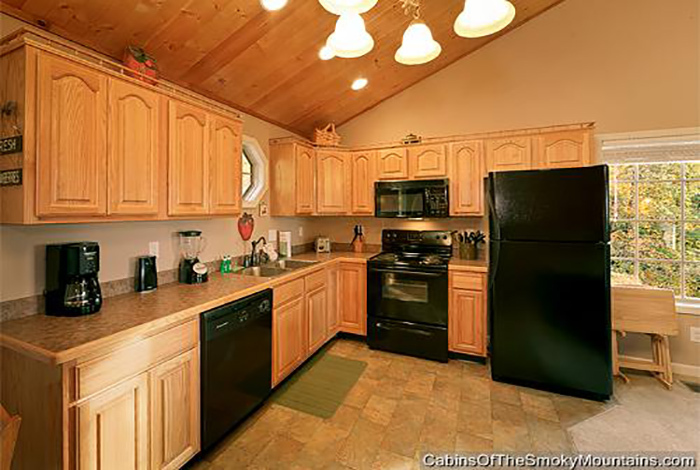 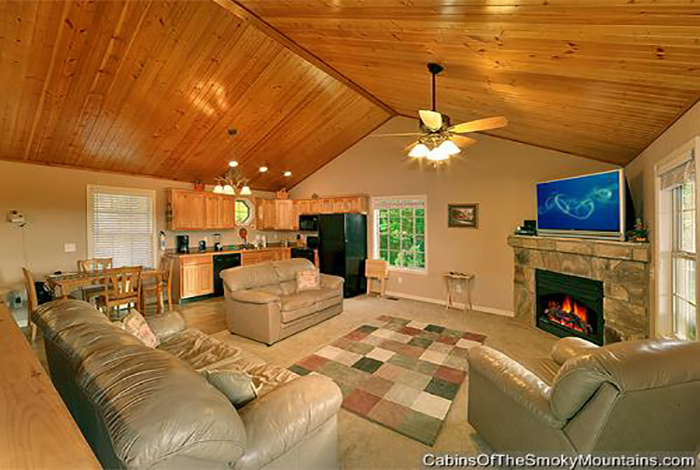 This 3 bedroom secluded cabin is located just minutes from Downtown Pigeon Forge and even Gatlinburg. 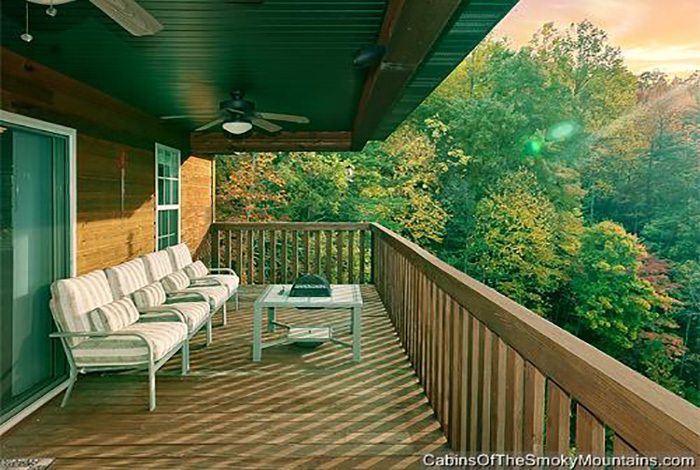 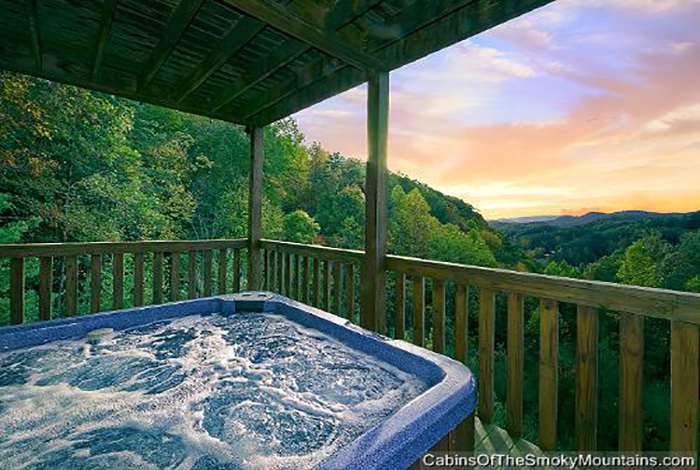 Have the family kick back and unwind while you soak in the hot tub overlooking breathtaking views of Mount Leconte. 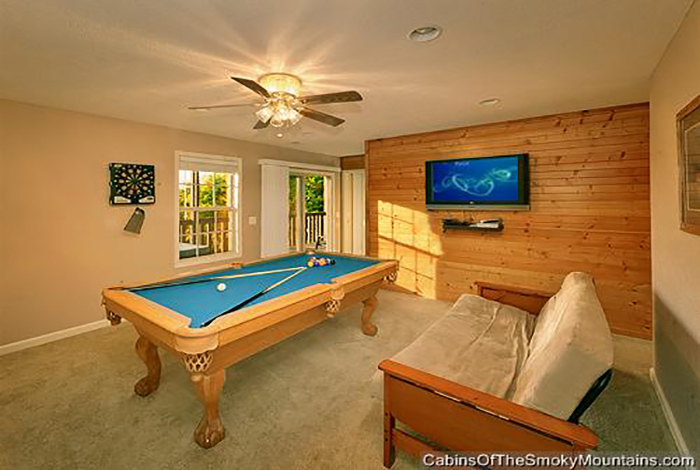 Up for a little friendly competition, why not play some pool, or even have a shoot out on the basketball arcade. 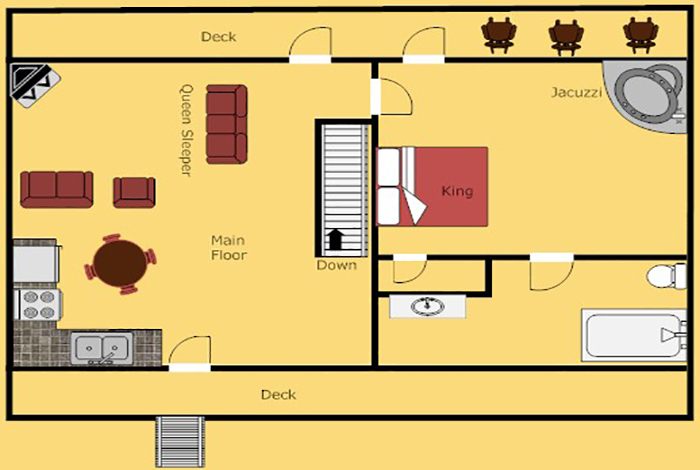 Don't forget to bring some movies so the whole family can enjoy high definition blue ray movies on a flat screen television. 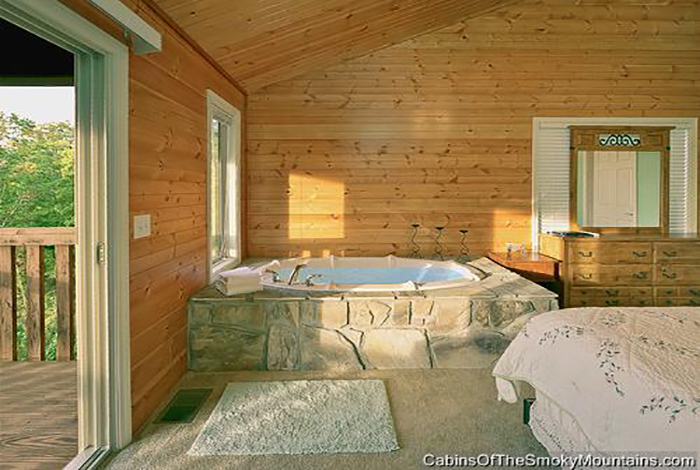 We would be Pleasantly Surprised if you didn't want to come back to this sanctuary.